While those of us who live in Florida tend to joke about the monster snakes that lurk in the Everglades, Burmese pythons are a serious problem. Their expanding population is having a devastating effect on the ecosystem because they prey on native wildlife. 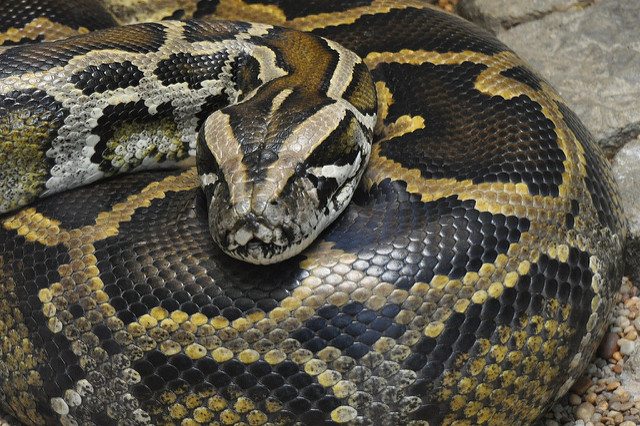 A 2012 study by Virginia Tech University, Davidson College, and the US Geological Survey found that pythons have virtually eliminated the populations of rabbits and foxes in the Everglades and now threaten to wipe out raccoons, opossums, and bobcats. The state sponsors an annual Python Challenge each spring hunters, but the snakes are nearly impossible to spot, even for experienced hunters, and the number of snakes killed each year doesn’t begin to make a dent in the population. But a new tool is now being added to the snake hunters’ arsenal. VolAero Drones, a drone service provider based in South Florida, has teamed up with outdoorsman Bill Booth and is using thermal imaging equipped drones to spot pythons at night as they slither through the sea of grass. Check out this video showing the snake hunters at work.